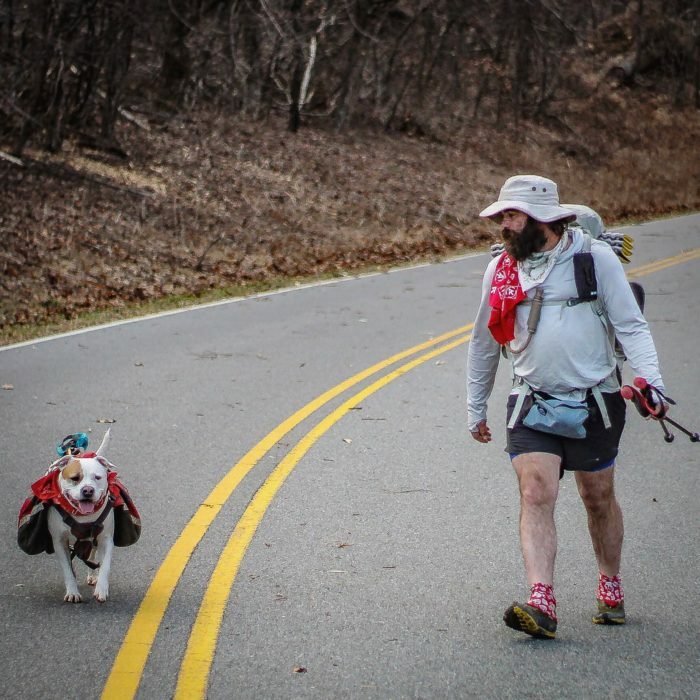 While it’s not uncommon for hikers to take a little bit of home with them on the trail one way or another, some take it a step further and bring the dog along for the journey. 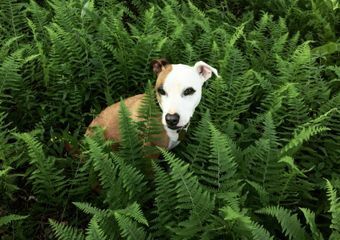 Under the right circumstances a dog can be a great companion to have during a thru-hike, but there are many things to consider before taking Fido for a 2,000+ mile walk. 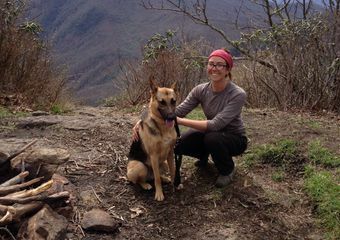 Here is our collection of wisdom from hikers who have taken their dogs on a thru-hike, trained puppies for hiking, or embarked on ambitious backcountry travel with their canine companion. 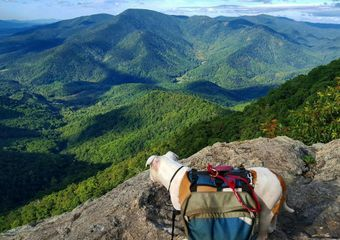 Is Your Dog Ready for a Thru-Hike? All dogs are good dogs, but some are better suited for thru-hiking than others. As a dog owner (or potential dog owner), you must evaluate your own dog’s unique characteristics, rather than the generalized characteristics of the overall breed. Before even beginning training, ask yourself some questions to ensure that you and your pup get off on the right foot and paw. 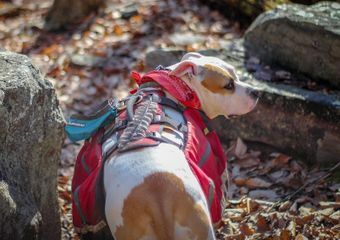 Hiking dogs should be large enough to carry their own supplies in a pack, but light enough that should an emergency arise, you are able to pick them up and remove them from the situation. 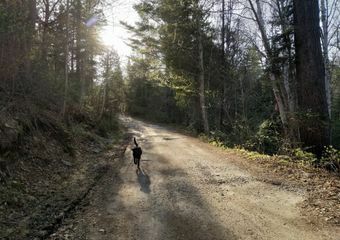 You will want your dog to be able to keep up with you on trail, and have enough stamina to put in long hours, but not so energized that they are difficult to control. Always understand that your mileage will depend on your dog’s ability, and they will likely run themselves into the ground trying to keep up with you. What kind of coat does my dog have? Different breeds will have different types of coats. Consider the climate you will be spending several months in. Will your dog be too hot? Too cold? You need to be able to sufficiently groom them during the hike, and most importantly, check for ticks or other injuries that might be hidden under fur. Is my dog well trained? This should go without saying. For your safety and your dog’s, and the well-being of those around you, it is vital that your dog obeys commands when given and does not harbor aggression toward other hikers or animals. 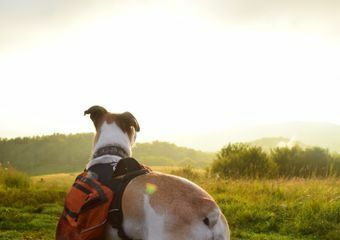 After you have established that your dog will be joining you for an adventure of a lifetime, you must prepare them and yourself for the journey, which starts with the basics and shorter on-trail outings. Wait until your dog is fully grown before embarking on long distances or carrying a heavy pack. Before you do begin to train, take your dog to the vet for a checkup to be sure they are in good health to begin a trek. Make sure they are up to date on all of their age-appropriate vaccinations, and receive preventative treatment for other ailments, such as heartworm and ticks. If they are not already, consider getting your pup spayed or neutered to avoid any on trail complications. A microchip can also be a great safety net should your dog get lost. It is vital that your dog recognizes and obeys commands while on trail. “Come” and “Stay” are important commands to start with and be secure on before hiking around other people. Your pup should also be comfortable walking on and off leash. Although your dog may make up for any burden they may cause in an immeasurable boost of morale, be sure they also are carrying their weight, literally. Find a pack that works for your pup (check out this one, and this one), and test it out. Practice with an empty pack first to get your dog used to the feeling, and then work up to a full load. 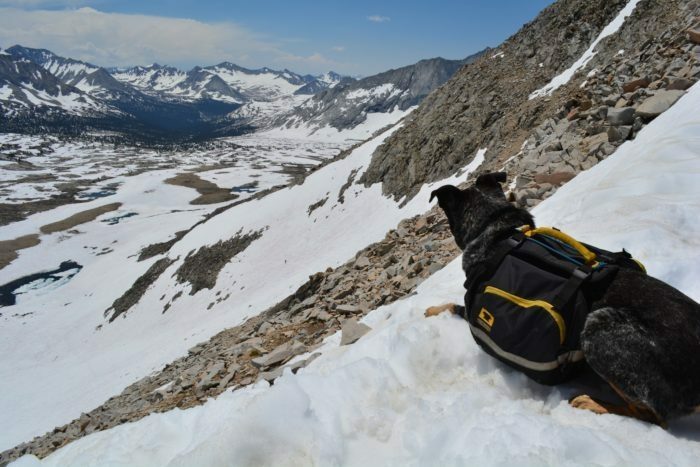 Loaded packs should weigh no more than about 10% of the dog’s total body weight. 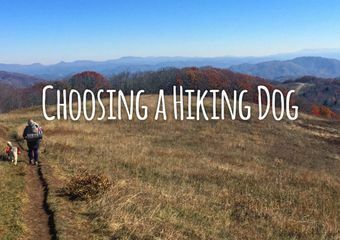 Here are two doggy gear lists from past thru-hikers. 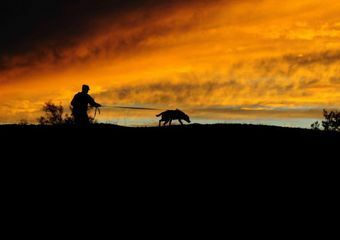 Just as you might like to practice for your thru with some shakedown hikes, so too should your dog. Depending on your dog’s current baseline fitness level, start small and work up to larger-mile days. Make sure they (and you) are comfortable walking on and off leash, wearing a pack, and following commands. By now LNT principles should be ground into your head, and you abide by them well. Remember them, because they absolutely apply in the case of a four-legged hiker, too. Train your dog to walk on trail, not bother wildlife, and take care to dispose of or bury their waste in proper locations as applicable. Although it might be more convenient (and safer) to allow your dog to walk off-leash during hiking hours, at campsites be sure to be respectful of other hikers’ spaces and needs. Leash your dog and be attentive. Trail towns and in-town establishments have different rules when it comes to dogs. Some are more accommodating than others. Do your research and know what restaurants/hotels/hostels/shops will allow you to stay or visit with a dog. This might mean forsaking a planned stop in favor of a different location that caters to canines. 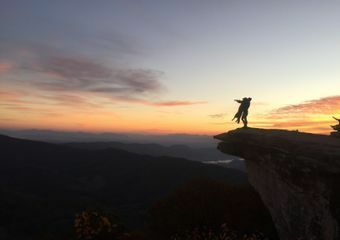 Should your thru-hike take you through a state or national park, pay extra caution to regulations surrounding pets. 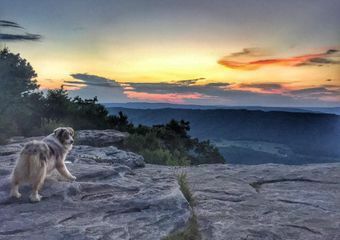 In general, dogs are not permitted in national parks (except for when leashed in campgrounds and for service animals), and state park rules vary. 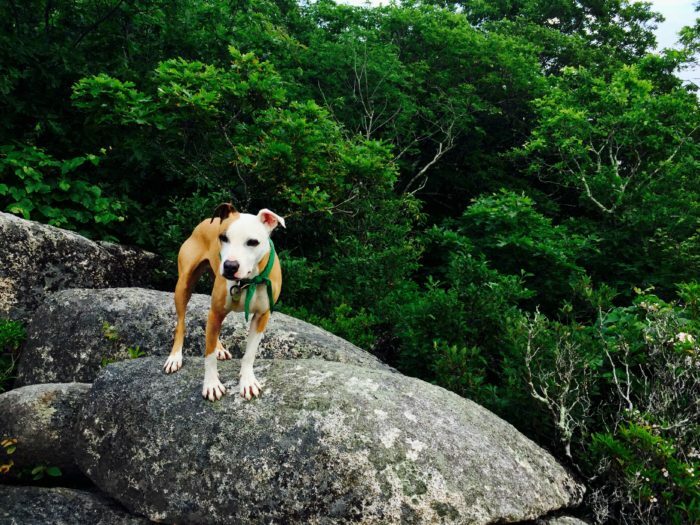 AT hikers will have to make accommodations for a dog during these stretches of pet-free trail. 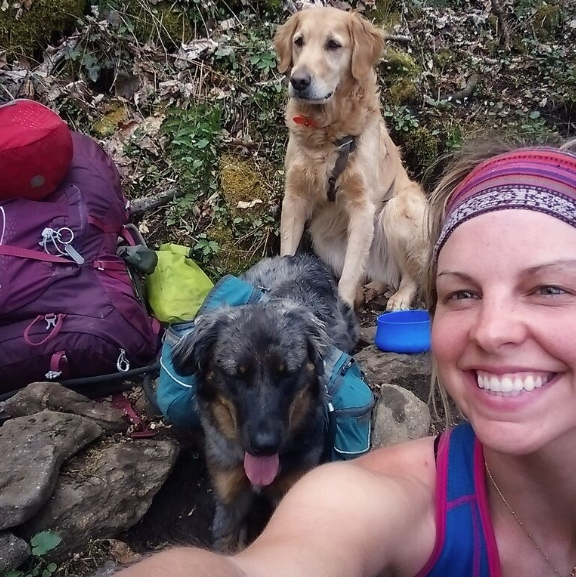 Ultimately, the decision is up to you and your dog whether to embark on a thru-hike together. 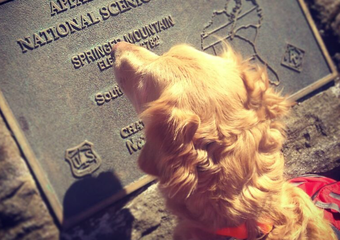 Do your research, prepare, and happy trails if you decide to embark on a thru-hike with a furry friend. It can work out better than anticipated. 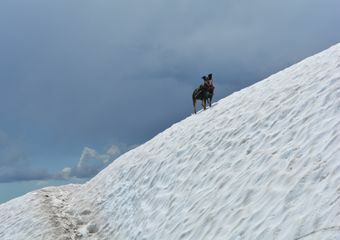 Don’t just take my word for it; many Trek writers have experienced the joy of man’s best friend on trail. These Trek bloggers took on a thru-hike with their dogs, and prove that no two experiences are the same.